comment Sample a slice of Americana at an official NBA game! 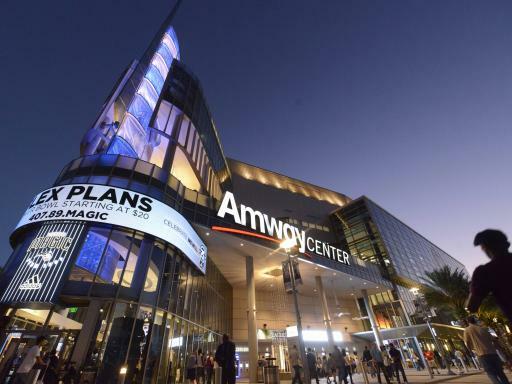 With plenty of action on and off the court - the arena boasts an abundance of bars, restaurants, fan experiences and activities - it's a perfect experience for the whole family. 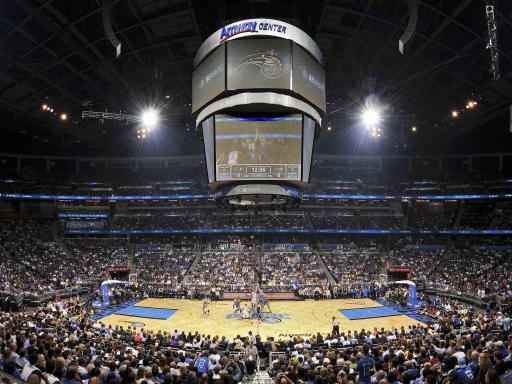 Your ticket includes admission to the game - seats in either the Lower Bowl or Upper Bowl sections - and roundtrip transportation from central pick-up locations around Orlando. The transfers run from central location points in Orlando (see below) and you will need to make your own way to one of these departure points. The pick-up locations are arranged so that you do not need to travel too far to your nearest point. The actual location will be given at the time of booking when you advise the name of your hotel. In the event that you do not have your hotel information available at the time of booking, you will be advised of your pick-up point when you call to reconfirm your tour in resort. Simply exchange your voucher for the actual game tickets when on board the transportation. This means there is no need to worry about getting them beforehand or queuing up at the arena. 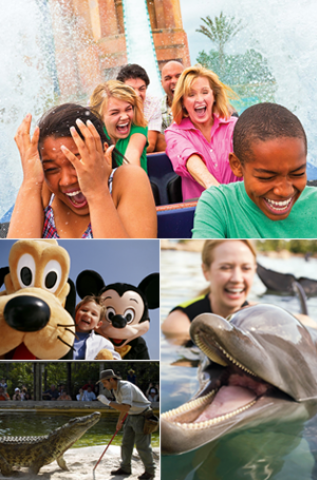 Photocopy your theme park tickets and while you’re at it also photocopy passports and give copies to a relative in the UK just in case. Amazing experience, would definitely recommend! Great tickets and transport everything exactly as it said on the tin. 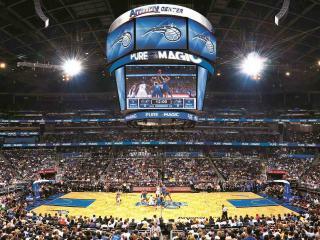 Orlando Magic Tickets are non-refundable and non-transferrable. 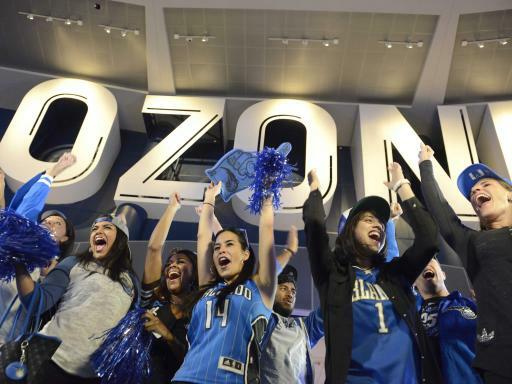 Ticket price includes pick-up and drop off from select points in Orlando and tickets for the game. Specific seat locations cannot be guaranteed. 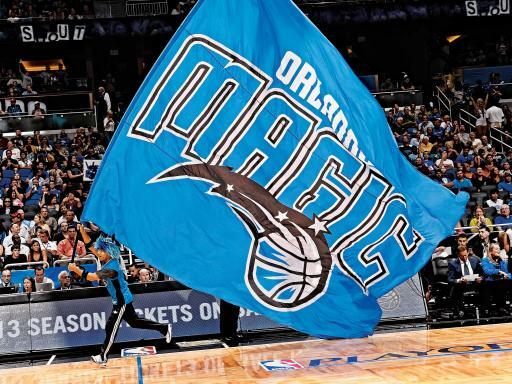 Orlando Magic Basketball with Transfers excursion runs from central location points in Orlando and you will need to make your own way to one of these departure points. The pick-up locations are arranged so that you do not need to travel too far to your nearest point. The actual location will be given at the time of booking when you advise us of your hotel. In the event that you do not have your hotel information available at the time of booking, you will be advised of your pick-up point when you call to reconfirm your tour in resort. Will I receive actual game tickets? No, you will receive a voucher which will be exchanged for the official game ticket once onboard the transportation to the arena.